As we predicted after last year’s inaugural edition, the Ladd’s 500 is back. For the uninitiated, the event is a novel homage to one of Portland’s most beloved bike routes, neighborhoods and public spaces. Ladd Circle is a public park inside of a roundabout smack-dab in the middle of the historic Ladd’s Addition neighboorhood of inner southeast Portland. 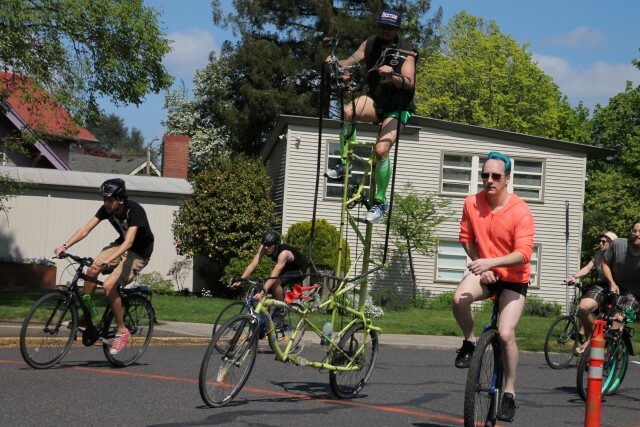 The idea behind the event — like many other events that make our local bike culture so interesting — is to simply have fun doing something silly on bikes with a bunch of other nice people. With the 2017 edition coming this Saturday (4/15), we asked one of the event’s protagonists Eric Ivy to share more about it.